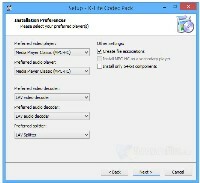 K-Lite Codec Pack Basic is a free codec pack that only includes codecs to play the most common audio and video files. Its ideal for those who limit their media library to basic media files such as AVI, FLV, MP4, MKB, and OGM. Although its a small codec pack, its still powerful enough for those who dont want to bloat their system with unnecessary codecs that will never be used. 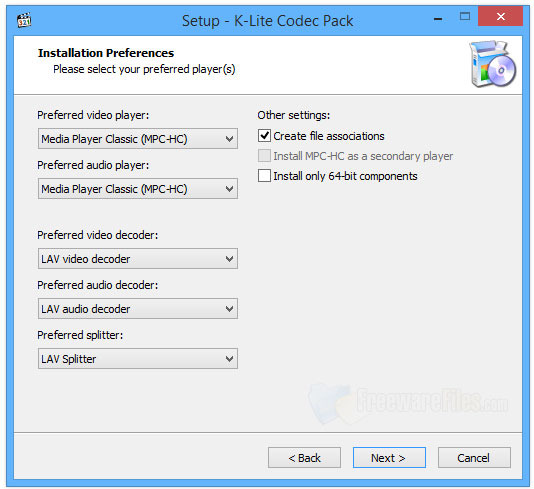 K-Lite Codec Pack Standard is a free software bundle which includes popular audio and video codecs to play your favourite audio and video files. This codec pack doesnt include as many codecs as K-Lite Mega Codec Pack or K-Lite Codec Pack Full, however, the included codecs will work with all popular audio and video players. K-Lite Mega Codec Pack is a free software bundle which includes the K-Lite Codec Pack Full and Real Alternative. Codec is short for Compressor-Decompressor. Codecs are needed for encoding and decoding (playing) audio and video. The K-Lite Codec Pack is designed as a user-friendly solution for playing all your movie files. With the K-Lite Codec Pack you should be able to play all the popular movie formats and even some rare formats. 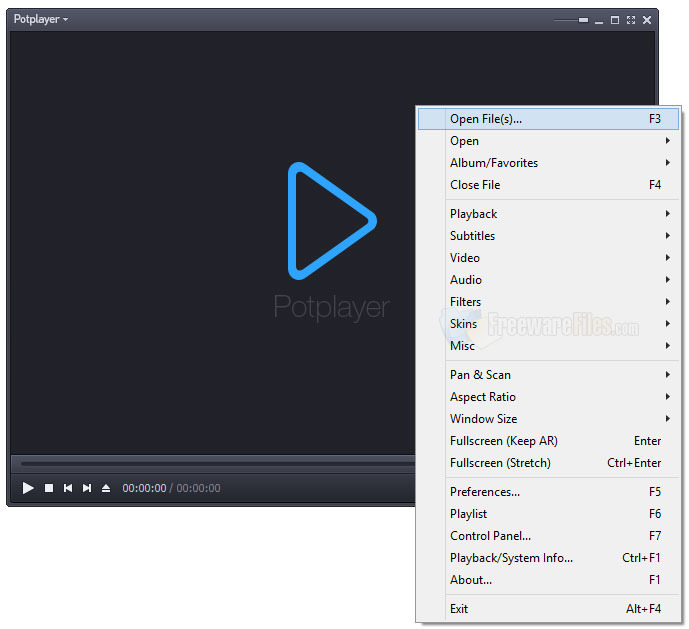 If you are an advanced user who would like to configure almost all aspects of your media player, then PotPlayer is your answer. The versatile player is so flexible that you can not only use it to play many media file formats but also customise it to suit your individual taste. One of the simplest ways of turning your computer into a powerful piano is using Everyone Piano. 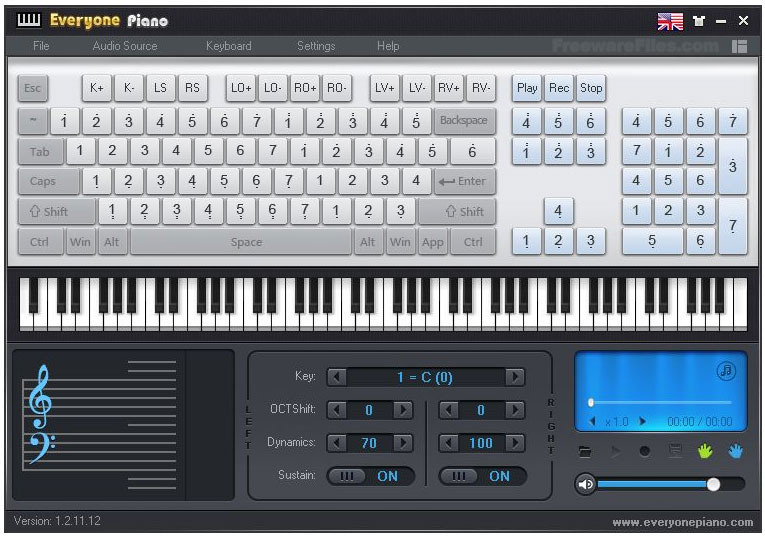 This software perfectly simulates a real keyboard piano even when you are using the computers sound card. All you need to play the piano is your ordinary computer keyboard.